The following is excerpted from Mycophilia, by Eugenia Bone. My journey into the realm of fungi started with basic venality. I love to eat wild mushrooms, but I don’t love paying for them. They’re hellaciously expensive in Manhattan where I live. The problem was: How to find them? And then I learned about the New York Mycological Society (NYMS) and their promises of guided mushroom hunts. It sounded good. Plus, the price of membership was right: $20 a year. The NYMS offers lectures on fungal biology, slideshows of mushroom photography (Taylor Lockwood’s show packed the room), a banquet featuring mushrooms during the winter (a Roman Feast, a Cantonese Banquet), many small guided walks, and a few big forays every year, the most popular being the Morel Breakfast. When I first joined the club, I tried to mask my true motivation. At the winter lectures, I pretended to be interested in all mushrooms, nodding with phony delight at the slides of inedible molds or polypores or whatever. The truth is, I was embarrassed to admit I was participating in a scientific club mainly in anticipation of spring, when the morels came up and the hunting would begin. But shortly after the announcements for the Morel Breakfast went out, I realized I was not alone in my greed. Everyone in the club was horny for morels. Free, fresh, fat morels. Morels are probably the most fetishized of all wild edible mushrooms. There are numerous websites devoted to hunting morels, replete with near pornographic close-ups of the wrinkly capped fungus, or shots of copious morel blooms or children happily posing with gargantuan specimens. Morel websites boast breathless postings of morel flushes throughout the country. (I am particularly fond of the online morel sighting maps, which are updated daily during the season, like tornados on a midwestern weather map.) There are around 10 regional festivals throughout the midwestern states, at least one anthropological study on rural community morel hunts, and morel paraphernalia of all sorts for sale. Theories abound as to why morels are so culty, but Tom Nauman of www.morelmania.com says it’s because morels are well-known in the general population. I think Nauman is right. The morel is the American wild mushroom. The Morel Breakfast–held the first weekend in May, when the morels are generally, hopefully up–is always prefaced by a flurry of e-mails, first the very hush-hush directions to our spot, an abandoned apple orchard in New York west of the Hudson River, then the admonitions not to hunt the orchard and pick all the mushrooms prior to the breakfast, and finally people looking for rides to the hunting grounds. I have a car and so drove a handful of ladies and their baskets and walking sticks, their tick spray and suntan lotion and water bottles, to the home of an amiable couple who live on the way to the orchard and who put out a bagel and lox spread for the club at their own expense. At the breakfast, our foray leader, Dennis Aita, explained that morels are the fruiting bodies of a fungus. The fungus is the organism and the mushroom is the organ of sexual reproduction, like a fruit or a flower. There are many types of fungi (which can be pronounced as either fun-ghee, fun-gee, or fun-jai, though most mycophiles say fun-jai), and not all produce mushrooms, but the fungus Morchella does. There are quite a few species of morels–no one is sure how many–but we were hunting Morchella esculenta (esculenta is Latin for succulent and delicious). Dennis told us to look for M. esculenta, aka the gray or yellow morel, under dying apple trees. The fungus that produces morels lives in association with the roots of the apple tree. When the tree fails, the fungus fruits in order to spread its spore–and subsequently find a new host. In essence, to find the morel, you have to find the tree. Which is not such an easy thing. The club hunts an abandoned apple orchard surrounded by residential developments, and the place is overgrown with pricker bushes, but we hunt there for two reasons: The morels have been fruiting there for 25 years, and it is in nearby Rockland County, an undemanding commute for New Yorkers who tend to be infrequent drivers. Eighty people showed up that year, about a third of our membership. They were mostly older, retired people, but also young parents herding children, holding their wiggly kids’ arms while they smeared on the tick repellent, plus a few French people. I’d only hunted in Colorado prior to this, and where we go, in the West Elk Mountains, there are about 10 billion acres of wilderness per person. It is rare to see anyone else in the woods. It is common to get lost. Not so at the NYMS morel hunt. As soon as we were parked and assembled, Dennis gave the word, and in an arthritic charge, dozens of people crashed into the woods, most following those who seemed to know where they were going. It felt a little like the stampede that occurs when they first open the doors of a Black Friday warehouse sale. I struck out in the opposite direction. The NYMS, whose logo is inspired by The New Yorker magazine’s mascot Eustace Tilley (the dandy in the top hat) looking through his monocle at a mushroom, had a couple of starts and stops during its 100-plus-year history, but the avant-garde composer John Cage (1912-1992) and a few friends resuscitated it in the late ’50s. Cage’s belief that music is meant “to sober and quiet the mind, thus rendering it susceptible to divine influences” also describes the mushroom hunt–or at least, a mushroom hunt without a crowd–the quiet but intense contemplation of nature that reveals a hidden mushroom. Cage turned many folks on to mushrooming. I’ve met a number of people with no particular interest in fungi who claim to have hunted with him. (In New York, that’s kind of like running into people who’ve said they’ve gotten drunk with Norman Mailer.) But he created many true converts. One is Paul Sadowski, who prepared Cage’s music for publication and is now secretary of the club. Back to the hunt. It took me some time just to identify a dying apple tree. To be honest, the whole orchard looked like one gigantic bramble patch, filled with buzzing insects and senior New Yorkers in khakis, but after a sweaty hour I got the hang of it and started to crawl under the thickets and through the poison ivy, the shiny red leaves tiny as squirrel ears, to check the base of the decaying trees. As I crawled under one tree, eyes narrowed to avoid scratching my corneas with twigs, I spotted one large brown morel. And then I saw her. Apple cheeked and undaunted by the thorns, her gray bun pulled askew by snapping branches, crawled an elderly lady from the opposite direction toward the very morel–the only morel–I’d spotted. I deferred to her, of course, as if the fat morel between us were a seat on the bus. The instigating factor that may have led to the advance of mycological societies in America was the death, in 1897, of Count Achilles de Vecchj, an Italian diplomat residing in Washington, D.C. The count died from eating Amanita muscaria–the fly agaric. This is the most iconic of all mushrooms–the one with the red cap with white spots on it–and, except in the count’s case, not fatal, although it can make you very sick or get you high, depending on what part of the world the specimen comes from, how you prepare it, and how much you eat. The death of the count, which was a widely publicized sensation, led the United States Department of Agriculture to issue public advisories about toxic mushrooms. Although the Washington mycological club had been organized 3 years before the count’s last meal, his death, and the subsequent publication of Charles McIlvaine’s 2 1/2-pound tome, One Thousand American Fungi, describing hundreds of edible (although not always tasty) mushrooms, ushered in an increased interest in fungi, and regional mushroom clubs began to, well, mushroom. Today there are at least 95 mycological societies in North America, three regional clubs, and one national club. There is also a professional club, the Mycological Society of America, which organizes conferences and publishes the scientific journal Mycologia. For the amateur or hobbyist, learning about mushrooms in order to eat them but avoid poisoning is definitely one of the reasons why people join mycological associations. In 1973, the North American Mycological Association established a toxicology committee, and in 1982, they created the Mushroom Poisoning Case Registry based on voluntary information from the regional societies and the American Association of Poison Control Centers. Only 1/2 to 1 percent of poisonings that are reported to poison control centers each year are attributed to mushrooms, and of that, according to a 30-plus-year summary of poisonings, about 1 percent end in death. Indeed, more people die of shark attacks than mushroom poisoning. The majority of reports describe gastrointestinal disturbances like vomiting and diarrhea stemming from eating a wide variety of species. Mushroom poisonings are not necessarily simple to define. When a combination of species is eaten, the culprit may be unclear. The health or circumstances of the eater may be a factor in poisoning, as well as allergic reactions to the proteins in a given mushroom. Additionally, mushrooms may be contaminated by bacteria and molds, or by environmental poisons like pesticides or radiation, and the symptoms from these pollutants can be mistaken for mushroom poisoning. Of the 1.5 million species of fungi projected to be out there, perhaps 5 percent have been identified. Of that 5 percent, maybe 10,000 species produce fleshy mushrooms, and about 400 of them are poisonous. In a field that is constantly evolving, these numbers are speculative, but in general, of the 400 species that are poisonous, 20 are commonly found, 6 of which are lethal. (And of the 2,000 or so species that are probably edible, 100 are widely picked and 15 to 30 are commonly eaten.) The challenge, then, is to know your mushrooms. There are many types of mycetismus (poisonings caused by eating mushrooms), but only three types of poisoning dependably kill. Amatoxin poisoning is the worst. It is responsible for 90 percent of all mushroom fatalities in this country, and probably in Europe, too. Amatoxin poisoning is caused by eating either the destroying angel (Amanita bisporigera) or the death cap (Amanita phalloides), the mushroom that famously killed Sam Sebastiani Jr., a member of the Sebastiani Californian wine family in 1997, and possibly Emperor Claudius (AD 4-54), among other species. One cap of an A. phalloides will make you very sick, even do you in, especially if you exhibit symptoms within 6 hours of eating. Symptoms start with gastrointestinal pain, vomiting, and diarrhea that subside after a day, leading, unfortunately, to a false sense of security, because without prompt treatment, 40 percent of patients die within a week of the onset of symptoms. A few days after the first symptoms, the patient suffers hepatic dysfunction, sometimes renal failure, and even liver necrosis. 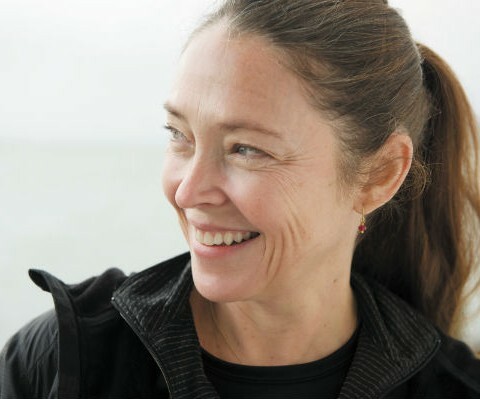 With prompt intervention, 80 to 90 percent of patients live. In Europe, injections of the compounds silibinin and silymarin, extracts of the milk thistle, are used to treat amatoxin poisoning. In the United States, treatment consists of IV fluids and penicillin–although there is no evidence that penicillin, an antibacterial medicine, does any good. Nor are there data to suggest which protocol is more successful. The second serious type of mushroom poisoning is orellanine (or cortinarin) poisoning. It is rare in the USA. Three species of Cortinarius mushrooms will cause delayed-onset renal failure within 2 days to 2 weeks after eating the mushroom. The symptoms start with nausea, vomiting, and anorexia, followed in hours or days by kidney problems. Three to 10 caps will produce irreversible kidney failure, more so in men than women. The novelist Nicholas Evans, author of The Horse Whisperer, had a kidney transplant in 2011, having mistaken Cortinarius speciosissimus–also known as the deadly webcap–for porcini. At the time of this writing, his wife and brother-in-law, who ate the mushrooms as well, were on the kidney transplant waiting list. The third killer is gyromitrain poisoning. Gyromitra esculenta, the false morel, contains a particularly toxic hydrazine called monomethyl-hydrazine, the same stuff from which missile and rocket propellant is made. Two to 5 cups of this mushroom will cause a gastrointestinal phase (nausea, vomiting, diarrhea), followed by fever and fatigue. Severe poisoning leads to liver toxicity or renal failure, coma, and death. There are lesser poisonings, too, usually nonfatal but still unpleasant. One is Antabuse syndrome–named for the drug prescribed to manage alcoholism. Eating certain mushrooms with alcohol can make you sick, hence the name of the poisoning. The most famous example is the inky cap mushroom (Coprinopsis atramentaria), also known as the tippler’s bane. Pantherine syndrome is a sort of inebriation–it’s like being drunk, sometimes dead drunk, as in a virtual coma–caused by eating Amanita muscaria. The psychoactive effects of “magic mushrooms” are known as tryptamine poisoning (psilocybin, the active ingredient in the magic mushroom, is a tryptamine). It is most often administered intentionally and is characterized by euphoria, distress, uncontrollable laughter, hallucinations, and agitation, often followed, for a number of days, by a feeling of well-being. About 4 grams of dried psilocybin mushrooms will cause intense hallucinations. “Talking down” the patient is the usual treatment. Some species in the Clitocybe and Inocybe genera cause muscarine poisoning, which presents as sweating, drooling, and gastrointestinal disorders, and in very severe cases, coma–although the relationship between the degree of poisoning and the dosage is unknown. Mushrooms, like all living things, are chemically very complex. Not only do they vary chemically from strain to strain–within a single species–but anyone can have idiosyncratic reactions to a mushroom. When I eat the bright orange chicken mushrooms (Laetiporus sulphureus and L. cincinnatus), my lips and tongue tingle in a freakily unpleasant way, a reaction some people have to an amino acid present in the mushroom. Slippery jacks (Suillus luteus) give some people the runs. Laughing jims or gyms (Gymonpilus spectabilis) may have you tripping and vomiting at the same time. Toxic compounds that can irritate digestion exist in some mushrooms that become perfectly edible when the toxin is degraded by heat. The morel is an example of a mushroom that should never be eaten raw. But cooked, it is one of the most delectable of all. That’s why the NYMS morel hunt is so well attended. We all wanted morels. So I was definitely bummed out to be driving home empty-handed. And adding insult to injury, that very woman who had picked my only morel was taking a little open-mouthed snooze in the backseat of my car, her basket of morels hugged tight in her arms, while I coped with the traffic over the George Washington Bridge. Later, in my frustration, I spent $40 for a half pound of tired-looking morels at an overpriced grocery store in SoHo. It was clear that I needed to hunt an environment that offered a bigger payload. Reprinted from Mycophilia, by Eugenia Bone. ©2011 by Eugenia Bone. By permission of Rodale Books. Available wherever books are sold. 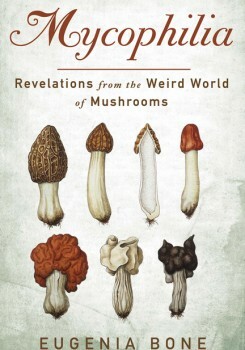 Eugenia Bone is author of Mycophilia: Revelations from the Weird World of Mushrooms (Rodale, 2011) and president of the New York Mycological Society in New York, New York.